Email* is required. Other fields are optional. 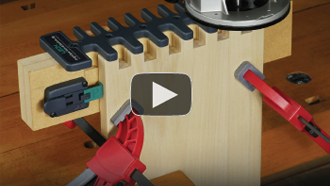 Introducing Leigh’s Box Joint & Beehive Jig, Model B975. Also see B975 web page. 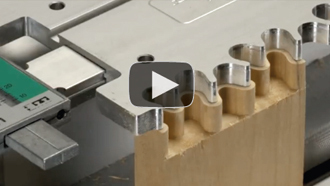 Dust-free routing and full width router support for your D4R Pro, D-series Jig, and Super Jigs. 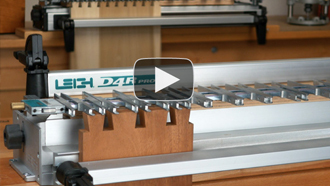 Check out the differences between the D4R Pro and Super Jigs with this thorough comparison. 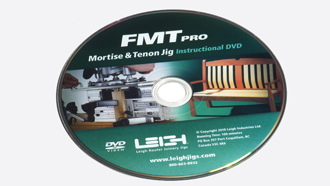 Detailed step-by-step instructions for making mortise & tenon joints on the FMT Pro. 109 min. 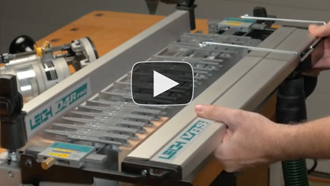 Turn your dovetail jig into a joinery system, just by replacing the guide fingers with a template. 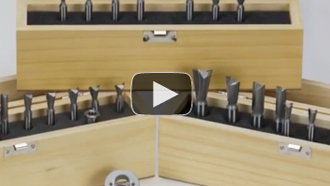 Choose from a huge selection of high quality Leigh brand bits for more joinery options.